Countertops can make or break a great kitchen design and thanks to some new and improved products on the market, now the ecofriendly homeowner has options for a beautiful, functional, and green kitchen. 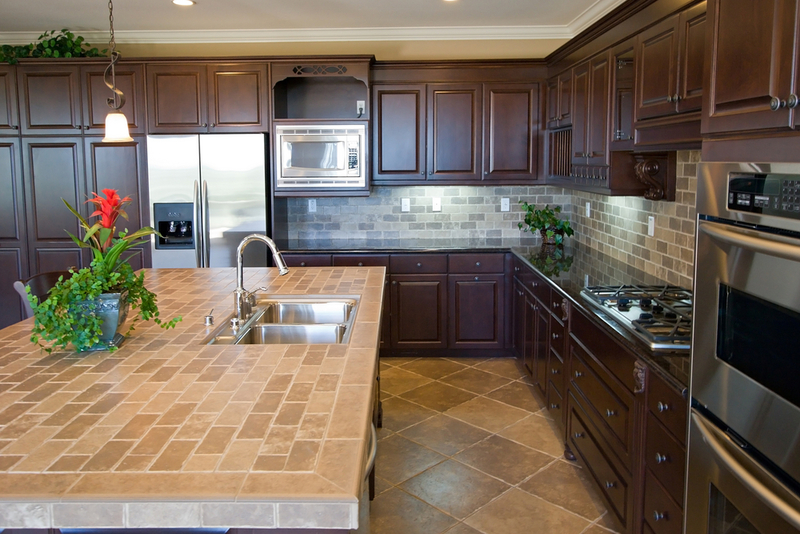 Here are some tips to keep in mind when selecting an environmentally friendly countertop. First, don’t just select the product because it’s natural or has recycled content, but, also consider how much energy is involved in transporting the material and, finally, explore if the product can be recycled after its life cycle. Keeping those tips in mind when selecting a kitchen countertop will help you decide what fits your needs and desires as an ecofriendly product. Although beautiful, natural stones, such as granite or marble, are not considered among the top sustainable green countertop options because the mining process and the transportation of the stone from the mine to your doorstep consumes so much energy. These materials make great countertops, but for a more ecofriendly option, try an engineered stone product with recycled content to achieve the same look. 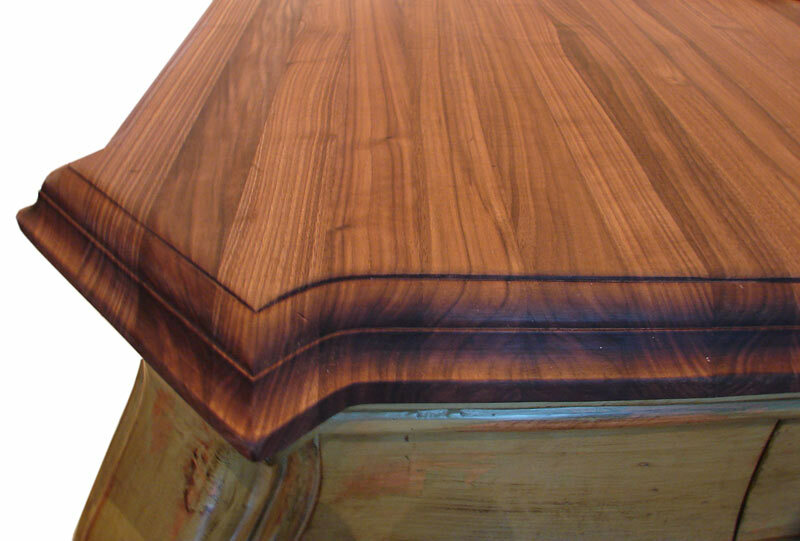 If interested in the most ecofriendly countertop materials on the market, check out the products listed below. Terrazzo: Terrazzo is a product made up of crushed aggregate and a binding agent, such as cement or resin. The crushed aggregate can be anything from stones and recycled glass to sea shells. This product is customizable and can be made on site, to order, so the design possibilities are endless. This fact also helps with transportation costs as long as the aggregate selected is local. Depending on the aggregate and binding agent, this product can be made from 100% recycled materials. 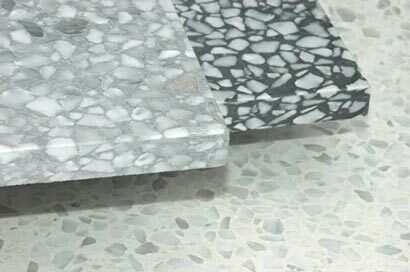 Terrazzo is an extremely durable product that will last forever, which is a downside in that it can’t be recycled afterwards. Recycled paper: Yes, that’s right, paper. When combined with recycled wood pulp and binders such as cement and resins, recycled paper forms a slab which works well for a countertop and looks similar to stone. Because of transportation costs, this may not be the most ecofriendly product depending on your location, but an advantage of living in Corvallis is that one of the top manufacturers of this product is located just north of us in Washington. Add to that the fact that it comes from 100% recycled materials and can be recycled after completing its life cycle, makes paper countertops a good ecofriendly choice. Wood: Wood is a great ecofriendly choice as a countertop material if using reclaimed or salvaged wood. If you choose to use reclaimed wood make sure it’s from a local, sustainable forest so as not to not waste energy in transportation. Don’t forget to use low-VOC or no-VOC sealer to prevent off-gassing and keep this product green. Ceramic Tile: Ceramic tile can be considered a green countertop material option since this product is made from clay, sand, and minerals. The tiles themselves are ecofriendly but the process to make ceramic tiles is energy taxing so using recycled tiles would be a more sustainable practice, plus, if found and used locally the energy in transportation is minimal. However, tiles are not recyclable at the end of their life cycle unless crushed and used as an aggregate in Terrazzo. Concrete: Concrete is a mix of water, cement, and sand. To make this product more sustainable substitute fly ash for the cement. Fly ash is an inert residue from burning coal. Concrete countertops are usually poured in place in your kitchen so transportation costs are minimal. Once the concrete surface is sealed (using no-VOC or low-VOC sealer) there is no off-gassing, a plus on the sustainable side. 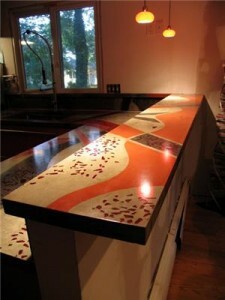 Concrete countertops can be stained or dyed to match any décor as well. Another sustainable feature of this product is the fact that it can be crushed and re-used at the end of its lifecycle.